Last week, I made several gifts for some friends who have been helping me alot lately. These simple metal sculptures represent the power of support. Taking care of each other. 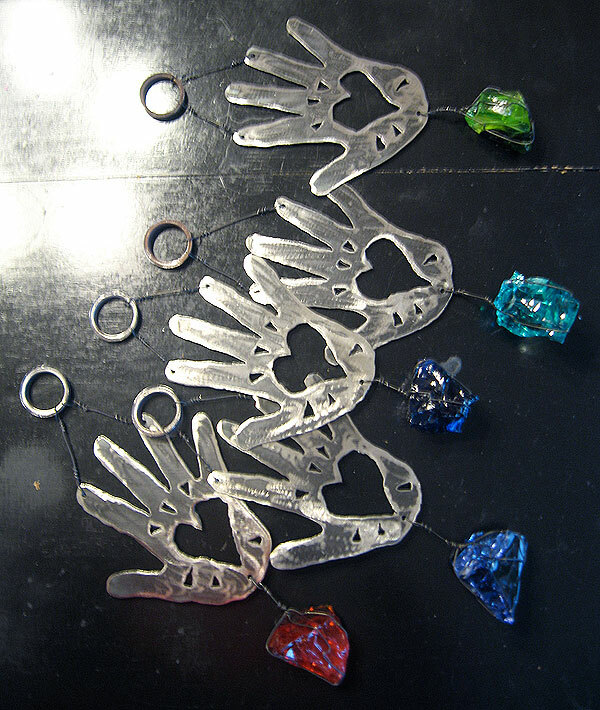 Each of these is decorated with a sparkling chunk of glass. Perfect to hang in the garden. Or wherever.